Green Dental is an approved provider of MySmilePlan! 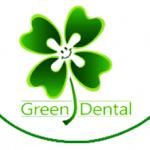 Green Dental is dedicated to providing you with excellent, personalised dental care. Building a foundation of trust by treating you as a special individual is vital to their success and they pride themselves on providing a relaxing and positive experience.